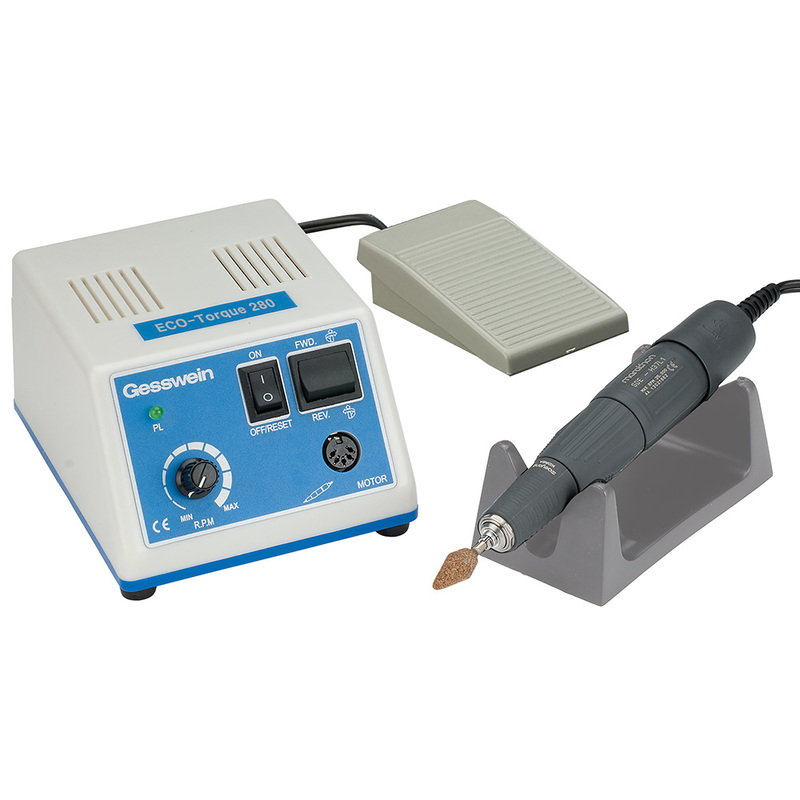 Our most affordable rotary micromotor system! The ECO-Torque 280 handles a wide range of rotary handpiece applications. Whether you need a system for grinding, drilling, polishing or bright-cutting, ECO-Torque 280 will get the job done. Includes a compact controller with 110/220V selector switch and forward/reverse switch, lightweight 35,000rpm rotary handpiece with 3/32" collet, on/off foot switch, dial speed control, handpiece cradle rest, replacement pair of carbon brushes and collet chuck wrenches. An optional reducing collet is available (sold separately) to reduce collet size from 3/32" to 1/16" to run friction grip 1/16" shank burs.